IAM RoadSmart is the UK's leading road safety charity and advocate, helping to improve driving and riding skills through courses and coaching. 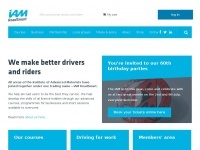 IAM RoadSmart was formerly called the IAM, Institute of Advanced Motorists. In total 92 links were found which refer to Iamroadsmart.com. 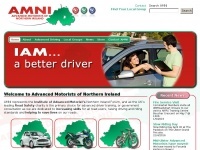 The most used keywords in text links are Institute of Advanced Motorists, The Institute of Advanced Motorists and IAM. Individual words like Motorists, Institute, Advanced and Road are frequently used in text links from other websites. The most important link sources for this website are Rrelite.co.uk and Mbeam.org.uk. The homepage of Iamroadsmart.com and the subsite /courses are most referenced by other websites. The table shows the most important links to Iamroadsmart.com. The table is sorted in descending order by importance. The table shows websites of Iamroadsmart.com, which are often linked by other websites and therefore they are classified as important content. 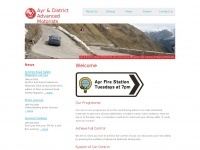 4x4news.co.uk - 4x4 News - Press relea­ses - OffRoad, Land Ro­ver, Jeep, ..